The war film historically served a very different purpose in the Soviet Union than it typically did in the rest of the Eastern Bloc. Like many countries – Australia included – the USSR built much of its national and political mythology on military struggle; specifically, its heroic defeat of Nazi Germany in the Great Patriotic War. Its cinema, therefore, necessarily reflected that, with even dissidents like Aleksei German (Trial of the Road) and Andrei Tarkovsky (Ivan’s Childhood) making World War 2 films with clearly defined heroes and villains. With so much at stake, and such immense suffering endured on the way to victory, what room could there be in such films for the slightest ambiguity? The situation in communist Bulgaria was different, to say the least. The Bulgarian government played both sides in World War 2, and chose to align themselves with the German-led Central Powers in World War 1, rendering the propaganda benefits of either conflict minimal. The earlier world war is the setting for Vulo Radev’s The Peach Thief, a film far less interested in motherlands than the fragile human beings that inhabit them. Ivo is a Serbian prisoner-of-war, kept with his fellow internees in near-starvation conditions; Elisaveta the wife of a high-ranking Bulgarian army officer with whom she shares a cottage and garden ringed by barbed wire. The Colonel’s fertile peach trees are a siren call POWs like Ivo, who are given to stealing away from the nearby camp and taking whatever food they can get their hands on. When Elisaveta finds Ivo in her garden, her initial reaction is kindness and concern for his safety; her authoritarian husband, on the other hand, instructs his watchman to shoot any further intruders on sight. Ivo, however, keeps returning, and a romance develops between him and the Colonel’s wife that is as obviously doomed as Bulgaria’s war effort. 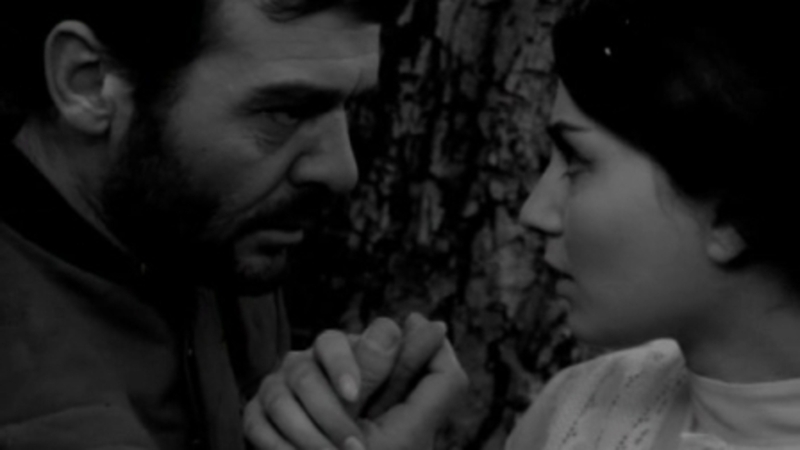 Considered by many to be the greatest Bulgarian film ever made, The Peach Thief has the feel of a classic – indeed, in many ways it seems like something from a much earlier period of cinema, its unabashed romantic angst more reminiscent of films like Gone with the Wind or Casablanca than the more modernist work emerging from Western Europe in the mid-’60s. But this conventionality doesn’t detract from the film’s emotional impact; its story of impossible love proving far more universal and timeless than the heroism narratives churned out across the Black Sea.